Time-travel is my favorite type of science fiction story. It lets us see dystopian futures, wander into nostalgic pasts, explore cause and effect, and visit characters at key moments in their lives – all within the same story. That's why X-Men: Days of Future Past, a beloved X-Men comic and an awesome episode of X-Men: The Animated Series, was my most anticipated movie of the 2014 summer season. Despite stumbling in a couple of areas, the film sets a new standard for superhero films because it celebrates everything that makes the X-Men unique. 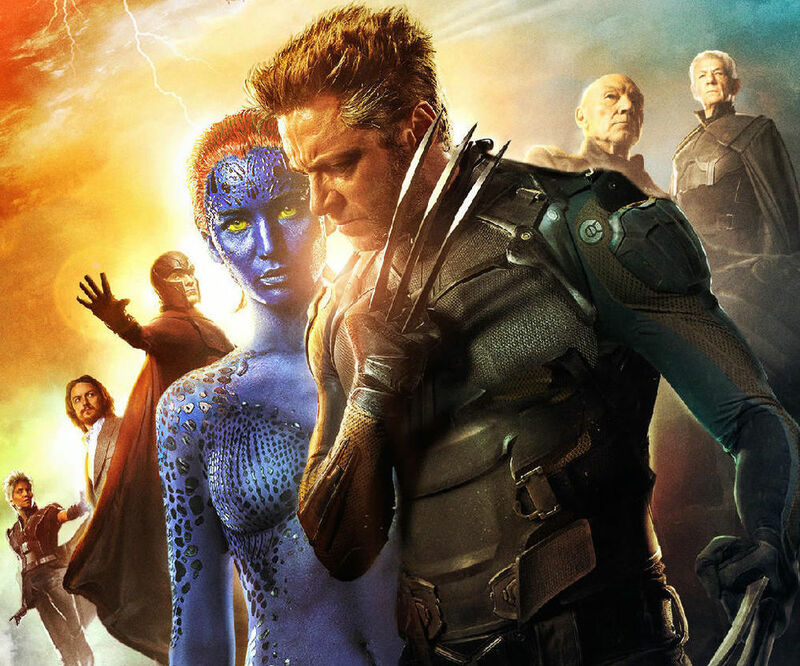 X-Men: Days of Future Past brings together the X-Men film franchise. The X-Men continuity is expansive. There are six X-Men films (3 good, 2 bad, 1 in between). Each is loaded with mutants. Some have been played by multiple actors. Major characters have died, only to return in subsequent films. It's all rather confusing (just like the X-Men comics). Miraculously, Days of Future Past ties it all together. I'm not just talking about references and cameos (though there are plenty of those). It feels like everything from the original X-Men trilogy to the solo Wolverine films and the First Class prequel are converging on this story. At the same time, the movie remains accessible enough for casual fans to enjoy. Days of Future Past pulls this off because it focuses on the essential story of the X-Men – a persecuted group of people coming together to promote understanding. Dr. Bolivar Trask has no empathy for mutants. The film is about survival. Magneto's Brotherhood wants to end mutant persecution. Dr. Bolivar Trask's Sentinel program is an attempt to protect humanity from the threat of mutants. Both groups work towards their own self-interests. Only Professor Charles Xavier and his X-Men want coexistence. These group relationships are based on real science and highlight one of the most nefarious principals in social psychology – the ingroup/outgroup bias. People consistently prefer their own group to others. Even when psychologists randomly assign individuals to groups for no reason at all, people will like the group they are in and dislike outside groups. This finding is stronger when you believe your group is being persecuted in some way (like Magneto and Trask). There are good reasons why mutants and humans have such a strong bias against each other. Magneto doesn't believe mutants are the same species as non-mutants (even though they are). Growing up in the Holocaust, he has seen the inhumanity of humans first hand and has no empathy for them. Trask fears that mutants could result in the extinction of humanity (kinda like what happened to the Neanderthals). By hunting mutants and experimenting on them, Trask believes humanity can build strong defenses against their threat. It's easy for Trask to justify his actions because many mutants don't look like humans and the less something looks like us the less empathy we have for it. We don't see Magneto or Trask as villains though. We know both characters are only trying to help their own groups. Unlike the Marvel’s Cinematic Universe, which has failed to create any memorable villains outside of Loki, Days of Future Past gives us multiple antagonists with complex motivations. Why don't the X-Men show the same prejudice as Magneto or Trask? The ingroup/outgroup bias is overcome when people learn about other each other, come into continuous contact, and experience empathy. Charles Xavier has dedicated his life to promoting these exact goals at his School for Gifted Youngsters. Why does Professor X care so much about mutants and humans? His telepathic powers give him the ability to see past group differences. Having read so many minds, Xavier knows that humanity and mutants are both guided by the same basic thoughts, feelings, and behavior. It's too bad the writers of every X-Men film feel the need to depower Professor X in some way. The explanation of how this occurs in Days of Future Past just doesn't scientifically make sense given what we know about the human nervous system. Diversity makes the X-Men a stronger team. Another way to overcome prejudice, at least temporarily, is by finding a common goal. We see this throughout Days of Future Past. Humans consider working together to stop the mutant threat. Trask even calls stopping mutants a "common struggle" that could unite all of humanity. Meanwhile, Magneto and Xavier (in both past and future) collaborate to fight the Sentinel program. There is a scientific basis for this type of cooperation. In Muzafer Sharif's robbers cave study, groups of boys who hated each other learned to get along when they had no choice but to cooperate. These types of superordinate goals sometimes lead to long-term cooperation (the 12 British colonies coming together to form the United States of America) while others alliances end after a goal is achieved (the US alliance with Russia to defeat Nazi Germany). My favorite example of collaboration in this series is the X-Men team itself. Research has shown diversity makes a team stronger. Having people with different perspectives fights the dangers of groupthink and is why NASA recommends having a mixed gender crew on all of its missions. With the X-Men, the more diverse the team is in mutant powers, the greater their ability to achieve their goals. Check out the opening battle from Days of Future Past to see what I mean. Kitty Pryde, Bishop, Iceman, and Blink do much more as a team because of their different abilities. That brings me to my second complaint – while the future X-Men are a diverse team, the X-Men of the past are a boys only club. Sure, Mystique plays a central role in the story (and Jennifer Lawrence is wonderful in the role), but I would have liked to see more key female characters working alongside Magneto and Professor X. While much of the time-travel doesn't add up if you do the math, I really like where Days of Future Past ends. The mistakes of past films have been corrected and the future is wide open for new stories. The next film, X-Men: Apocalypse, has already been described as a "disaster movie, extinction level event". If the producers are able to weave in the core elements that make the X-Men stories so compelling, as they did on this film, the franchise will continue evolving beyond what we typically see in the superhero genre. Check out my guest appearance on Out Now with Aaron and Abe where we explore all things X-Men and Days of Future Past. To learn how Days of Future Past fits into the larger superhero genre of films, check out AV Club's review. I also like what Variety has to say about the lack of wide scale destruction in Days of Future Past. io9 does a nice job discussing the important relationships in the film.